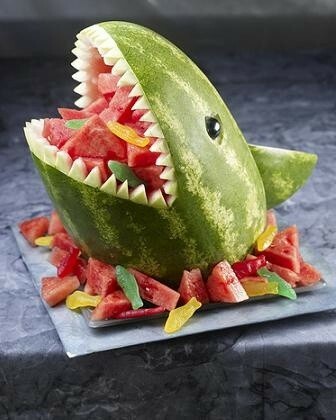 Perhaps not an every day treat due to time involved in execution HOWEVER this is one way to get your little ones eating their 5 serves of fruit and veg a day! This entry was posted in creative stuff, party stuff and tagged animals, birthday, food, fruit, nutrition, party, shark by rudyandthedodo. Bookmark the permalink.